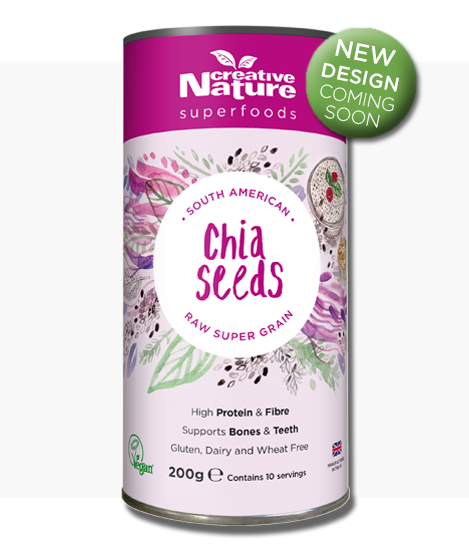 Creative Nature Chia Seeds are an ancient South American super grain was used by the Aztecs and Mayans to fuel their very active lifestyles and has become one of the most popular and versatile superfoods of today! They have even become a cupboard staple in many active and health-conscious households. Our Creative Nature Chia Seeds are tiny grains that, contrary to their size, have an enormous nutritional profile and many health benefits! 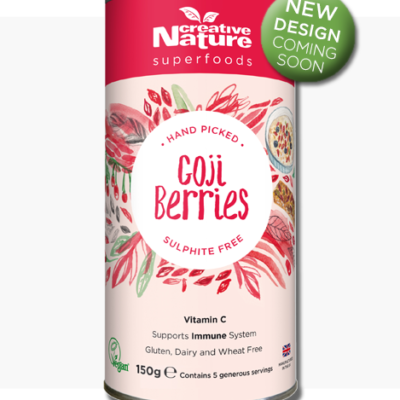 They are completely natural, provide you with a great amount of fibre, protein, omega fatty acids as well as minerals! Chia Seeds have also been suggested to contribute to the maintenance of normal blood cholesterol, bones, teeth and support normal muscle function! 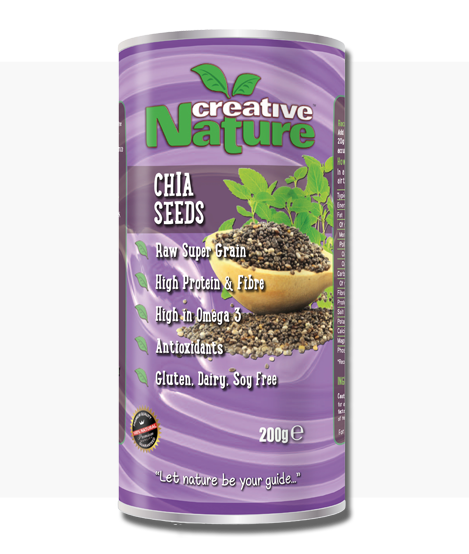 Creative Nature Chia Seeds are super easy to use- add them into your granola, smoothies, salads, baked goods, yogurts and more if you want to add some extra fibre, protein and crunch to your dish! They are also a great egg alternative for vegans, as you can grind them up and let them soak in water to create an egg-replacement for baking delicious recipes! 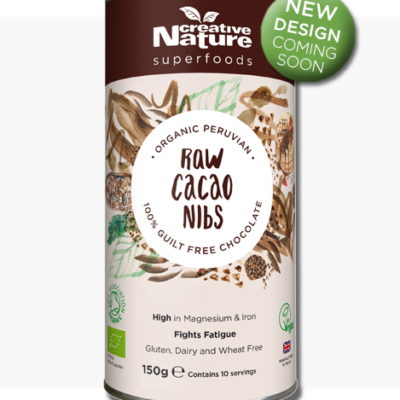 These Creative Nature Chia Seeds add a boost of nutrients, fibre as well as a wonderful texture (whether they are soaked in water/milk or dry) and are completely natural! 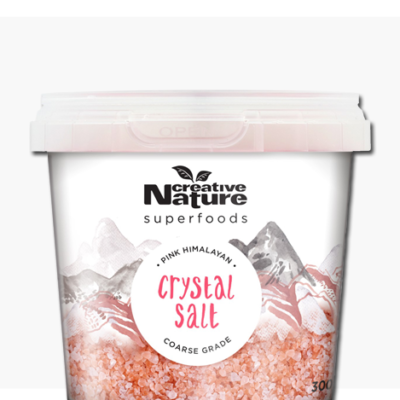 Buy this superfood and make sure to let us know your way of using then in the reviews section as we can’t wait to see what you come up with! Ingredients: 100% raw chia seeds, and that’s all! Using our Creative Nature Chia Seeds is super easy! They are very versatile and here are some ideas of how you can use them! Soak in water/juice for an interesting ‘slimy’ experience! These can also help you make the Vegan recipe on our baking mixes!